If you’ve followed my blog for any length of time, you’re likely aware that I’ve made no secret of my struggles with anxiety, depression, and PTSD. I’ve shared some pretty dark stuff on those topics over the last couple of years. When I wrote the Confessions of a Broken Man at the end of 2014, I was in such a bad place mentally that I was ready to end it. Obviously, I didn’t, but the possibility was real. A few months after that I shared about The Ah Ha Moment I had that led to my diagnosis with PTSD and that I was working to get back on the wagon. I’ve had success with that. Though I’m still struggling with some things, I’m in a much better place today. Life gets messy at times. 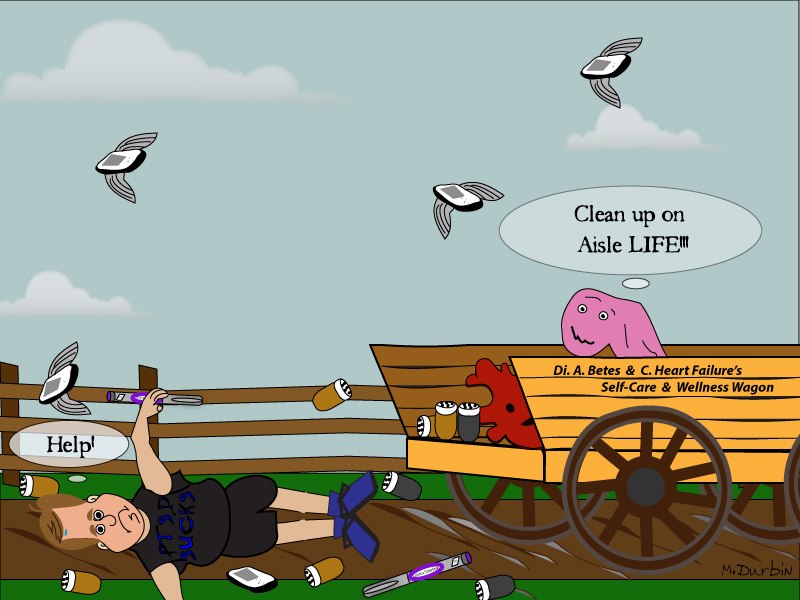 And it’s OK to need help with cleaning things up. We just have to ask. I’m glad I finally did. On my worst days with diabetes and congestive heart failure, when everything seems to be going wrong and I’m ready to give up, I try to remember how far I’ve come since I started on this journey. I try to remember the struggles I’ve overcome this far and the strength and determination it took to do so. I try to use that as assurance that I can get through the difficulties before me. I say try because some days it works, and other days it makes no difference at all. Some days, looking back through my blog archives for inspirational quotes that I’ve shared helps. This quote from a post in 2012 has become something of a mantra or motto. It’s certainly fitting. Some times, though, I really just have to take the time to remember who I am, especially with the identity crisis I’ve faced since my diabetes label changed. I have to look inside myself and reconnect with the person that I know I am. I am a strong, confident, caring, loving, and passionate man. I have a sound mind, and a strong spirit. I am well educated; possessing the knowledge and abilities needed to make it in this world. I am strong willed; filled with a sense of determination and endurance that will carry me through all situations. I am filled with respect, not only for others, but more importantly, for myself. I’ve had more than my share of those days. And I’ve spent a great deal of time trying to reconnect and thinking things through. I’ve made progress. Slowly but surely. I’ve found that the absolute best thing for helping my mood and clearing my mind is spending time hiking the trails at the many nature preserves in the area. And when the weather is cooperative, that’s how most of my days off from work are being spent. I take my nature and trail guides, camera, notebook, walking stick and water, and hit the trails. I stay out for hours at a time. And it helps a lot. 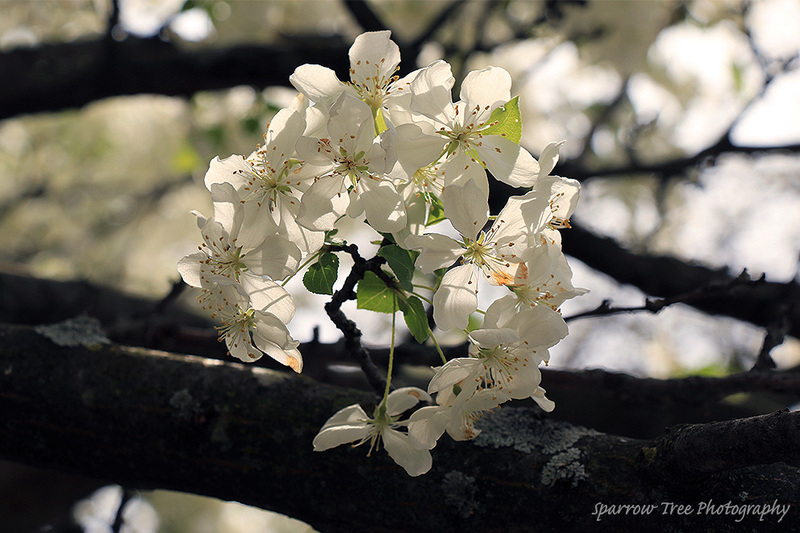 And taking my camera along on my walks in the woods has provided plenty of photos for sharing with friends. 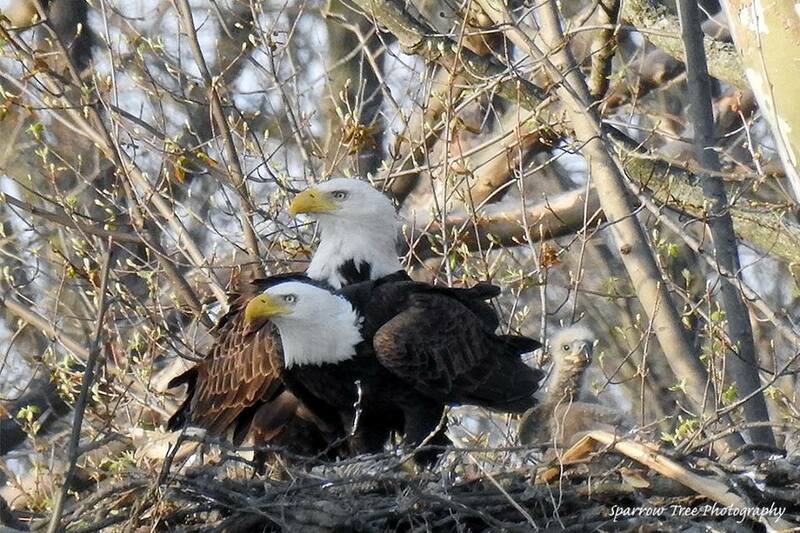 Like this photo of a mother and father Bald Eagle in the nest with one of their eaglets. One last quote. It’s one of my favorites. Thank you so much for sharing your truth with us! Thank you for being so open. I love your quotes and your photos…the eagle shot is so cool! I love your photos. And your quotes are inspirational!! Thank you for sharing this story.